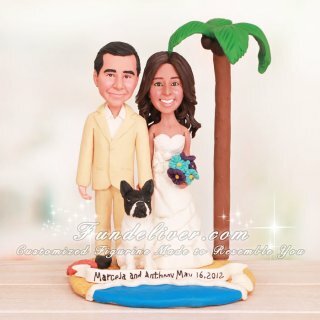 This is a completely customized Jamaica beach wedding cake topper ordered by one of our customers. They would like their dog to be sitting at their feet on the bottom, the bride to be in a white dress with a sweetheart neckline and the groom to be wearing a tan suit with a white shirt and no tie. 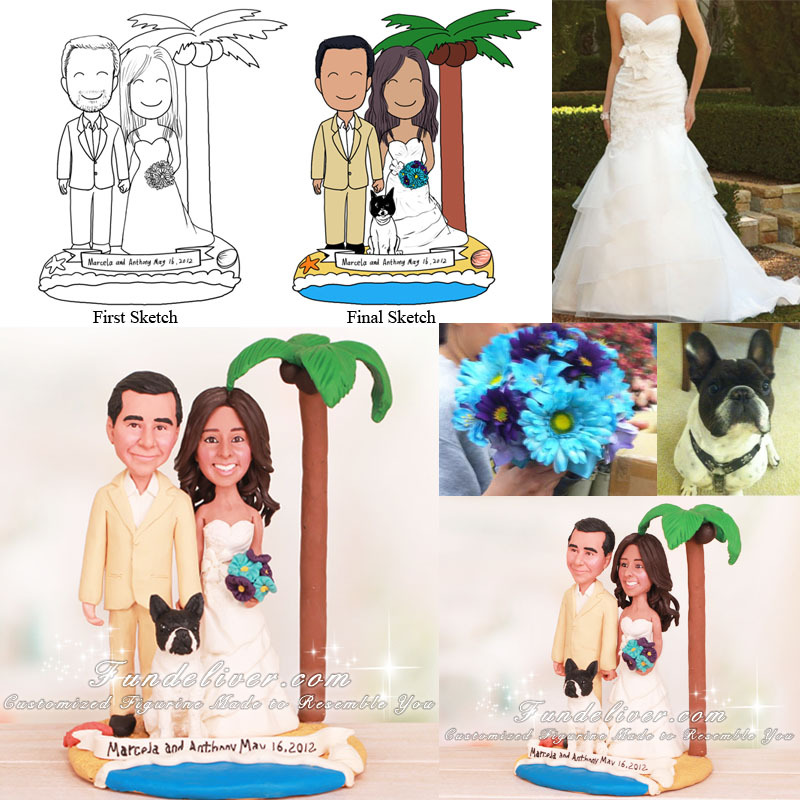 They have a destiny wedding on the beach in Jamaica, so they would like their figurines to be standing on the beach base with sand, ocean, shell, starfish, palm tree and a banner that says Marcela and Anthony May 16, 2012 to match their wedding.